West Virginia welcomes both KBF Members and non-members to this two-day, five bass KBF National Championship qualifying event. Organizers will be announcing the fishable water and venue for the KBF OPEN HQ. At this point we know that it will include the New River, Greenbrier River, and Bluestone Lake. Kayak bass anglers, both KBF Members and non-members from all over the eastern seaboard and northeast, area already planning their vacations to compete. 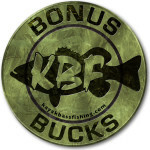 This two-day, five-bass OPEN Series tournament pays out cash prizes plus KBF BONUS BUCKS. Amounts and numbers of places paid will be determined by the number of registrants. The top twenty finishers qualify for the 2017 KBF National Championship. Also sign up for the 2016 KBF HOW Big Bass Brawl – West VIrginia, a separate but concurrent event that runs the last two pre-fishing days and the two days of competition, Any cast over those four days can net you a fantastic Sponsors’ Prize Pack, plus $200 cash each day’s top BONUS BUCKS member. All entry fee proceeds benefit Heroes on the Water.Register and pay your Entry Fee at TourneyX. All entry fee proceeds benefit Heroes on the Water. Register and pay your Entry Fee at TourneyX. On this Website’s 2016 KBF OPEN – West Virginia Webpage, read information about times, locations, area attractions, lodging and dining, and more. Keep up with announcements, tips, deals, discounts, and discussions on the Facebook 2016 KBF OPEN – West Virginia Event Page.